This deck relies on several smallish creatures that are cheap to cast and thus pair well with Vehicles, including a full playset of Bone Picker, Night Market Lookout, and Dhund Operative, and two each of Gravedigger, Skymarch Bloodletter, and Seekers' Squire. These, in turn, help keep both Sky Skiff and Renegade Freighter crewed and in the action, and much of the time are the deck's primary win conditions. 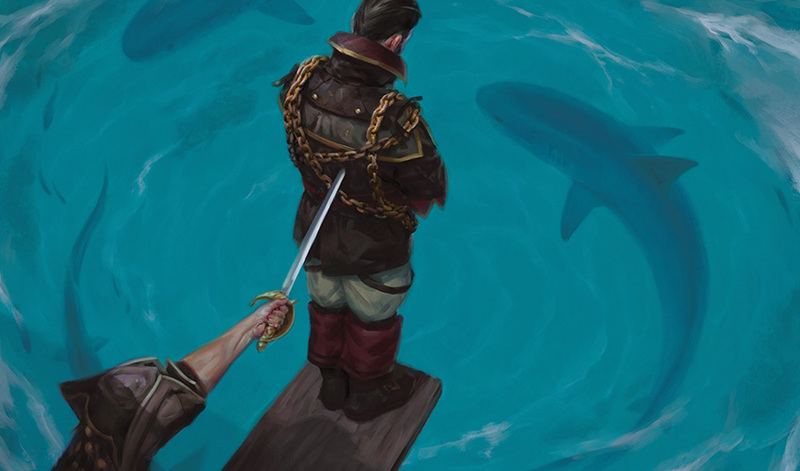 Supporting this strategy is a combination of removal (Walk the Plank, Fatal Push), hand disruption (Harsh Scrutiny, Duress), Graveyard recursion (Gravedigger, Supernatural Stamina), and just a touch of card draw from Live Fast. Throw in 18 Swamps and 4 copies of Cradle of the Accursed, and you have a surprisingly efficient and streamlined deck, capable of handling a variety of different archetypes. The Sideboard allows you to swap out less useful cards to bring others upto a full playset, including additional copies of Harsh Scrutiny, Gravedigger, Duress, and Live Fast. It also has additional removal from Die Young, a tiny board-sweeper than can dramatically change combat in Make Obsolete, and a lone copy of Cartouche of Ambition. With these additional options at your disposal, the deck can easily compensate for your opponent's specific strategy and counteract it accordingly. Luc3k was actually one of three players to go 4-1 in the first week of this format, narrowly edging out Red_Demon3 and br_laern, both of whom were piloting a White Weenie strategy. Congratulations to all three players on their great finishes last week. Finally, let me remind you that last time I put out a call for writers to create content related to the MPDC League or Standard Pauper. Would love to have your voice added to the conversation. Contact me if you are interested.